this little lady now lives in NASHVILLE! see her perma grin. i'm kind of jealous, not gonna lie. everytime i travel i make sure to hit up the local record stores. 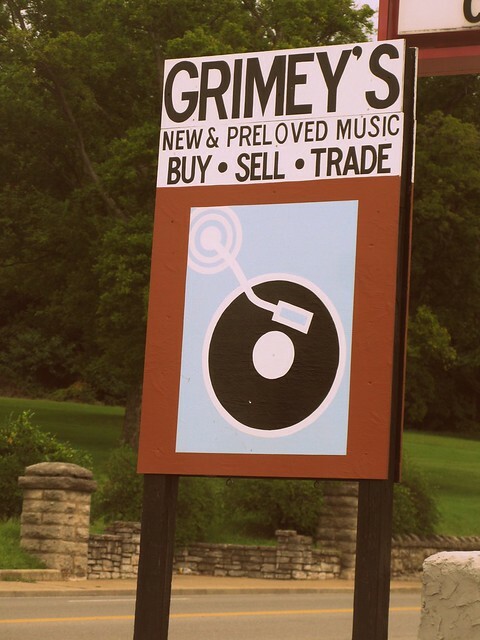 and since i had several friends tell me to check out Grimey's that's where we went first. score!!! 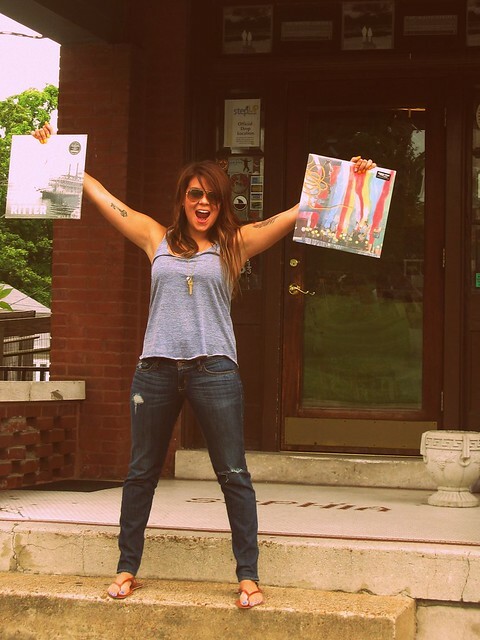 kelly got the new josh ritter album and a cotton jones album. i ended up with 3 pre-loved cd's so we could have some tunes while exploring her new city. i bought best coast (new) jaguar love (preloved) and jose gonzales (preloved). i love them all!!! now when i listen to best coast i will think of my nashville road trip with my sister, all the fun we had and the little fits of rage i got when my gps was wacking out. if you are new to nashville or planning a trip there be sure to check it out! oh and THIS friday there will be an in store show! the jompson brothers. 1. when you go shopping for music do you already know what you are looking for or do you just go in and hope you find something you like? 2. do you usually buy online or in store? 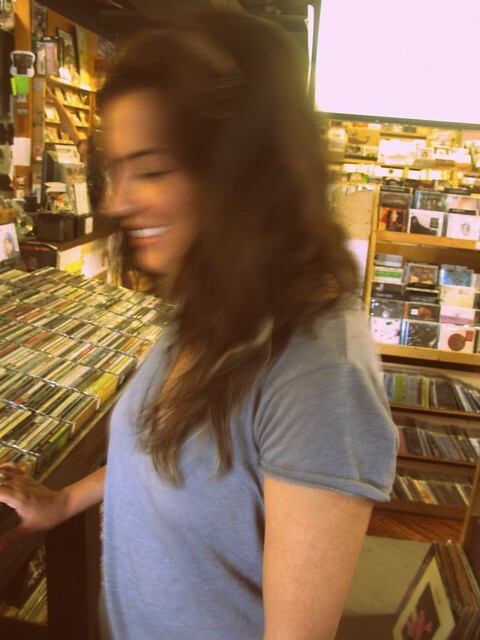 3. name your favorite record store. where is it located?